“If I’m natural I’m bush, and if I put on a wig I’m fake”, cries the beautiful and elegant Jade in frustration, as a succession of terrible dates and a broken love affair leave her reeling. A successful black businesswoman, the twenty-something Jade is finding out that too many of the black men she meets want a black woman as a partner, but only if she’s pale-skinned. Before seeing No Shade, from writer-director Clare Anyiam-Osigwe, I had a vague idea that colourism existed but I didn’t know the term itself. Her feature debut examines the issue entertainingly and without preachiness, and with a whole lot of wit. It’s also helped by some great performances, particularly from the wonderful Adele Oni as Jade – a woman who finds herself under pressure both to lighten her skin, and to use wigs to fit a more typically western ideal of beauty; and is then blamed for not being true to herself. “Am I too black? Am I too dark?” she asks best friend Carla (Anyiam-Osigwe) in desperation, who is sympathetic but also preoccupied with her own upcoming wedding (it’s telling that Carla’s fiancee Eddie is a self-confident young man who has come from a loving, secure home with strong family role models). Jade runs her own photography business, and is nearly always booked out. It’s a fitting craft for her. Bad photography only shows what’s on the outside, and can be tweaked and changed to fit the current ideal. Good photography both reveals the person within and extends the borders of physical beauty. When we first meet Jade she’s going out with Danny (Kadeem Pearse), a rather clueless young man who nevertheless knows the kind of woman he wants, and it’s not Jade. We all point out the successes and qualities of our female friends, from beauty to brilliance, when they are hurt by a broken love affair – usually finishing with “he’s not worth it!” and “you can do better!”. Though what Jade really wants, like many before her, is to have her ex back but without the short-sightedness that made him leave. The succession of terrible men Jade meets online – all of whom seem to think she should be grateful – is highlighted by the happy couples she photographs. Engagement photos are a speciality, and it seems everyone has “a funny story” about how they got together, particularly if it was only a matter of weeks ago. Even then, as soon as the woman nips to the loo the man seems to think Jade is fair game, and yes, should be grateful. When Jade tries dating a white man, Oxford-educated Dominic, he tokenises her and treats her like an exotic pet. Their restaurant lunch is painfully hideous as she realises how he really sees black women. But her desperation to find a decent man is starkly clear even before their date, as she already considers how they’d sound as a couple: “Jade and Dominic”. Carla and Eddie have the odd minor problem in their relationship, and one major one called Gemma, his needy, verging on stalking ex-girlfriend. She’s like a particularly annoying version of Whack-A-Mole, popping up again and again despite Eddie nicely but firmly making it clear he’s moved on. Danny tells everyone that he and Jade are like brother and sister, which means he still wants her to cook him dinner even after he’s moved on to the feisty Andrea (Sharea Samuels), light-skinned and with perfect corkscrew hair. He’s a young man adrift, taking his cues from the messages society sends him. He’s almost childlike as he runs back to Jade, who copes with some shocking incidents with a grace he cannot muster. It’s a tribute to Pearse, who plays him, that my frustration and anger at Danny’s behaviour was still slightly tempered by sadness (I’m a middle-aged mum, I can’t help it!) that he’d clearly never had someone to teach him to value women. A real role model, rather than fake social media hashtags that combine Likes with a warm glow of self-indulgent altruism while never requiring any behaviour changes. It’s an attitude embodied by the self-righteous Jerome. Dressed up in a funky blonde wig and a stunning outfit, Jade is devastated when he arrives for their date and launches into a tirade of abuse; seeing her hairpieces, coloured contact lenses and photographic filters as trickery, rather than trying to be what men want, or simply having fun with fashion. Jade’s victimisation by a system that proudly declares beauty is more than blonde hair and blue eyes, while simultaneously promoting exactly that, is never questioned by the men she meets. Nor do any of them see in themselves replications of countless men in the past who have accused women of trapping them with feminine wiles. 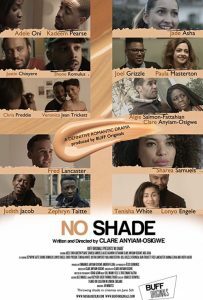 No Shade grabs the attention, with its true-life examples of colourism (the story is based on incidents that happened to writer-director Anyiam-Osigwe and people she knows). In many ways it’s shocking, though I’m sure women watching will laugh grimly at the incidents as they unfold. And its message about the twisting of beauty messages and the ease with which such messages pit women against women will strike a chord with many, whether they are women of colour or not. There was the odd scene that didn’t ring true; Jade starts snapping away as soon as people enter her studio, while whenever I’ve been photographed it’s taken ages to set up. Then again, at my age I probably need more lighting help. But in the main this is true to life, high-quality filmmaking, with some wonderful performances – Oni’s maelstrom emotions are written across her face, whether Jade is enduring another awful date or home alone with no protective carapace between her and the world. 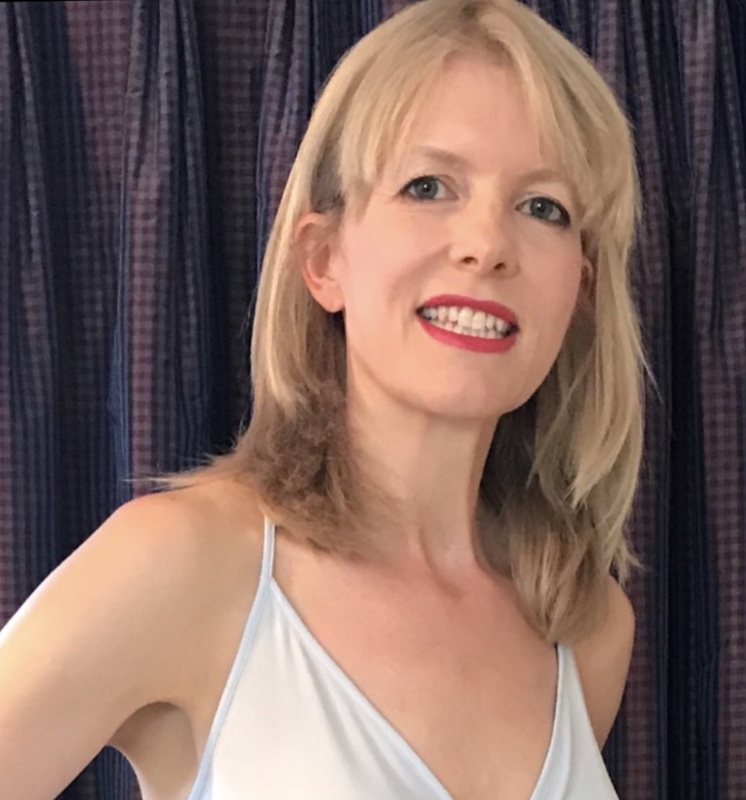 And beneath the shocking incidents there’s a vibrant seam of that wit which we all need to help us navigate love and relationships without losing our minds or our self-worth. No Shade premiered at BUFF, the British Urban Film Festival, in June 2018.